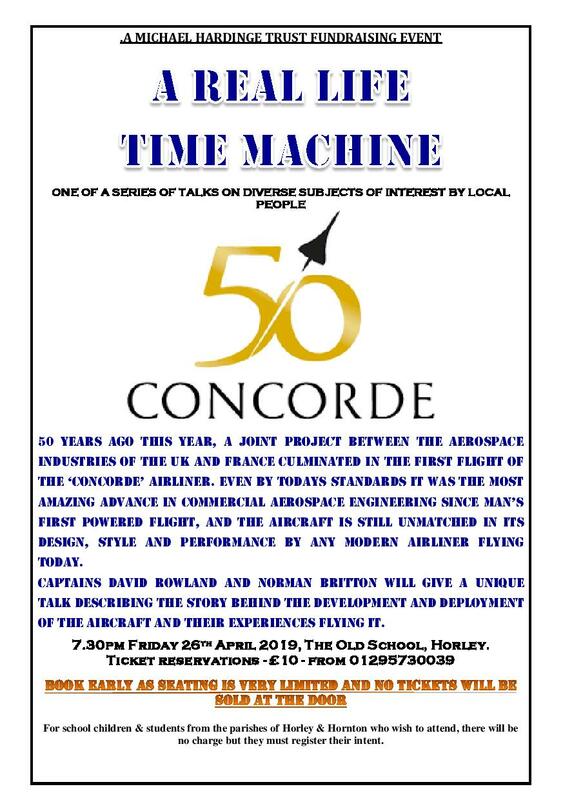 The next MHT talk will be given by ex Concorde Captains David Rowland and Norman Britton at the Old School on Friday April 26th at 7.30. Tickets are selling out fast so book soon if you are interested! See below for details. This entry was posted in Michael Hardinge Trust and tagged Michael Hardinge Trust, The Old School on March 29, 2019 by thehorleyviews.